TOS Will Be StealthGenie for you: Let’s Read the Information Below! Home Blogs TOS Will Be StealthGenie for you: Let’s Read the Information Below! Drivers can drive the vehicle when they have proper command regarding dos and don’ts of driving. They have to know how to use the side mirror of a vehicle and for what reasons indicators should be used at night while driving a bus, at what time gears should be used and how to use breaks while driving rashly. Similarly, when you have purchased a license of TOS having complete awareness about the software, you will be able to use it effectively, with sheer power and with great accuracy. However, a user should know that what are rooted and unrooted features of cell phone spy software? And how a user will be able to use it having different packages? The user should know, is the installation of TOS spy same for all packages and can monitoring apps really works secretly? The user should also know that how to install and uninstall the best cell phone monitor software remotely and either they can use one TOS license on more than one device at the same time or not. Let’s discuss in detail all of your queries and discuss the things you won’t aware of yet. 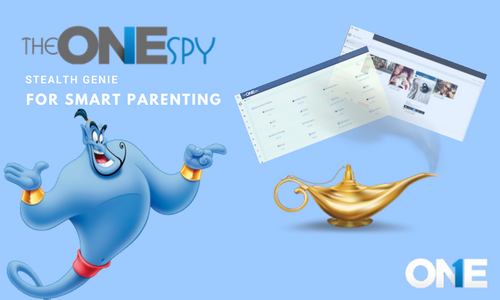 Surely, TOS genie will be stealth genie for you and you will be to set parenting control on kids and teens properly, track your employees with more efficiency. Rooted and unrooted features of the Android app for monitoring are the best of the best. First of all, a user should know what sort of devices need to be rooted while using the rooted features. The common Android cell phones are unrooted devices, that’s why it is necessary for the user to root the device initially and then they will be able to use the rooted features on the mobile phone of Android OS. Otherwise, the user will not be able to use the rooted features of TOS app on the unrooted android mobile phone. On the other hand, users that are using iOS phones need to jailbreak the cell phones for jailbreak features and non-jailbreak features of mobile phone surveillance software. Once a user jailbreaks the phone, then they can use the jailbreak features and if not then they will not be able to use the jailbreak features of TheOneSpy (TOS) on non-jailbreak iOS phone. iPhone user can read the possible ways to jailbreak. We have explained in detail the jailbreak procedure of iOS 9.1. What is rooting for Android devices? Rooting Android devices mean to run the procedure or application that provides users access up to the administrative commands to all function of the Android cell phone. Once a user successfully completed the procedure to root the device, then you will be able to use the all rooted features on the phone which we have mention above. Here is the full procedure to root Samsung with KingoRoot. The user may lose it’s all of the data installed on the Android mobile phone and there are also chances that the phone may break down and a user cannot use it further. Therefore, always put your private data aside and then root the cell phone. Most of the time newbies get failed to root android phone especially tab series. We have elaborated precise information and step by step guide about rooting Samsung tab 4. What is the jailbreak for iOS phones? Jailbreak iOS devices mean bypassing all the restrictions which Apple has fixed in iOS devices by default and taking the full control of the device. Then the user will be able to use all the jailbreak features of the cell phone tracking program fully, which we have discussed earlier. Meanwhile, read full procedure to jailbreak iOS 10.1. The jailbreak phone may get bricked, and a user cannot use the phone further and a user may lose all the data installed on the cell phone of an iOS operating system. Is the installation of TheOneSpy (TOS) the same for all packages? It is obvious that, when a user wants to use any software, the installation is necessary on any device. When it comes to cell phone tracker app, it provides user same procedure to install it for all the packages of TheOneSpy best cell phone monitoring software. It will be very easy for the user to use the software all packages through the same installation process. It does not make a difference to a user to use the Lite, Xlite and premier plan, the installation process is the same for all packages. Sometimes the user wants to uninstall TOS app on the target device remotely. The mobile phone spyware can be uninstalled remotely if the user has rooted the target Android phone or jailbreak the iOS device. Otherwise, a user won’t be able to uninstall the free spy app for android phone remotely at all or remotely uninstall the mobile phone tracking program from non-jailbreak iOS device. On the other hand, the installation process would be the same on both on a rooted android phone and jailbreak iOS cell phone device. It means that user will not be able to remotely uninstall the phone spy software from unrooted or non-jailbreak cell phone device. The spy app can be remotely installed on the cell phones whether it is android or iOS cell phones. TheOneSpy cell phone surveillance software is an actually a third party app and it is impossible to install the third-party app to install it remotely on the target mobile phone gadget. The user has to get access to the target smartphone physical access to perform the installation process. Is TheOneSpy App truly works invisibly? Once you have installed the free cell phone spying software on a target device, then you have to activate on the phone. Then it will works under complete secrecy and accuracy whether you are spying on your kids and teens cell phone when they are doing such activities which you think are not appropriate for them. Simply, parents can do parenting through parenting control app and kids and teens would not have clue that they are being monitored by their parents to the fullest. Parents can track their kid’s hidden activities through bug their phone by using MIC bug, camera bug and through spyvidcam bug with the hidden cell phone surveillance program. Furthermore, they can also use rooted and unrooted features of spying software for cell phones without letting the target to know. On the other hand, if employers want to track the activities of their employees having best monitoring software, they can use it invisibly and employees won’t be able to know that employer is keeping a hidden eye on them. They can track unnecessary IM’s social media activities, record live calls, messages, shared files, surrounds voices and scenes covertly. Can I use TOS one license on multiple devices at the same time? If a user has subscribed to a single license spy app for cell phone, to track the target device, then a user can use a single subscribed license one device. It means a user cannot use TOS license on multiple target device at the same time. However, a user can use the one license on multiple mobile phones in a way, that user has to remove the spy gadgets for cell phones from the previously used device and then install it to the next to track it. Hence, a user should know that they will not be able to use the mobile phone tracking program single license on more than one device at the same time, they have to subscribe each license for each device to monitor it at the same time. TOS Cell phones spy app has categorized its packages into three different categories. 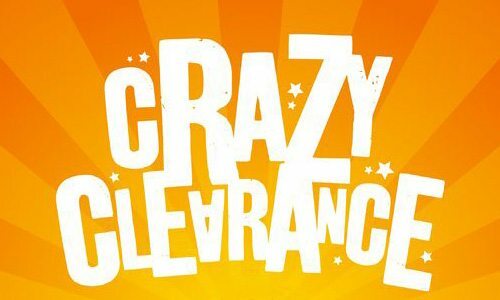 The categories are based on different features and months duration, which are as follows. Let’s discuss all the three categories of packages thoroughly. if user do subscribe to Lite package then, you will be able to use the call history with location, SMS logs, View contacts in phone, appointment and calendar activities, view photos, view browsing history, view location history of phone, set preferences for uploading data, remotely reset license and logs synchronized method. It further enables a user to get device information such as WiFi, Battery and GPS status. The user can also get their hands on carrier name, device model, and IMEI number. Furthermore, User will get to know SIM number, Device number, and Memory. The user will get TOS online dashboard and TOS navigator app as well. The user can get these packages within $18 for the month, $55 for 3 months, $99 for 6 months and $140 for 12 months. The Xlite plan is a medium package introduced by the cell phone tracking software. The user can get it within reasonable price such 35$ for 1 month, $75 for 3 months, $135 for 6 months and $175 for 12 months. It also provides some unrooted features to users. User can track the call history with location of a target cell phone, record lives calls, restrict incoming calls, record phone surroundings, MIC bug, Snap bug, SMS logs with location, and user can also get heads up tickers notification of all the trendy social messaging apps such as Facebook, Whatsapp, Yahoo, Snapchat and plenty of others alike. The user can get their hands on all the contacts stored in the target phone, appointment and calendar activities, stored photos in the gallery, bookmarks websites, browsing history, real-time GPS location tracking, location history, Backup and delete private data and plenty of others. Premier package of TOS phone spy program contains all the rooted and unrooted features. If a user wants to use the rooted feature, then a user has to root the unrooted device. The user can get this major plan within $50 for 1 month, $95 for 3 months, $170 for 6 months and $250 for 12 months. The premier plan provides user rooted features of cell phone spying software such as remote update, remotely/root/restart device, User can remotely remove the app, IM’s social media spy, and a user can get screenshots, IM’s recorded voices, and VOIP Call history. These are the features that need to root the android target phone. Otherwise, the user will not be able to use these features. On the other hands for iOS, phones need to be the jailbreak to use these features. Good news is that the user can tap android calls without rooting. Except for all the above mentioned rooted features of mobile spy software for phones, all the remaining features of TOS are unrooted features that can be used on the smartphone for Android and iOS without rooting and jailbreak. If a user wants to use the TheOneSpy android tracking app and iPhone spy software effectively, then the information that we have shared in the article should be read carefully. We make sure that having this crucial info, you will have your own genie in the shape of cell phone spying software. TOS genie will be stealth genie for you and you will be to set parenting control on kids and teens properly, track your employees with more efficiency.